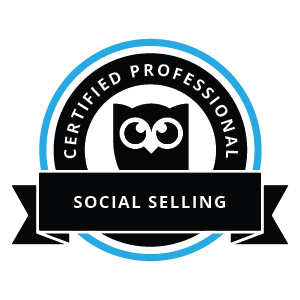 Become a social selling pro with our industry-recognized Social Selling course and certification. Industry-leading certification showing you have the necessary skills and expertise to drive better sales results using social media. 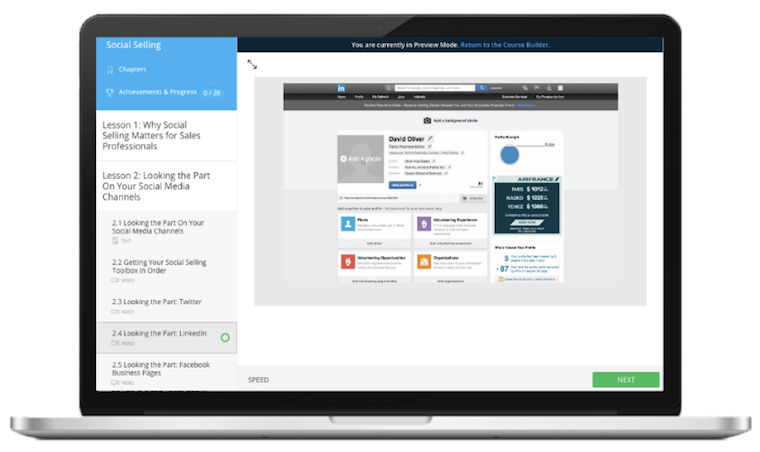 Get your Hootsuite Social Selling Certification by passing a 50-question online exam, testing your knowledge of the core principles of using social media in sales, based on Hootsuite’s online Social Selling Training course. The online exam is based on a series of easy-to-follow video tutorials that covers everything from setting up effective social media profiles to convey a professional online presence to tactics for finding customers and prospects. How do I prepare for the Social Selling certification exam? The exam is based on the Social Selling courseware that teaches sales professionals how to leverage social media to save time, find a larger number of better qualified leads, and increase deal sizes. We strongly recommend reviewing the course before attempting the exam. You’ll have 60 minutes to complete the 40-question exam. Yes. If you’re confident in your social selling skills, you can go straight to the certification exam.